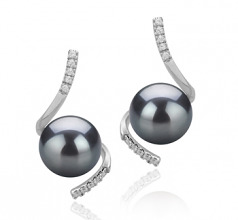 Make a bold, elegant fashion statement with these 8-9mm Mathilde Black Freshwater Cultured Pearl Earrings. 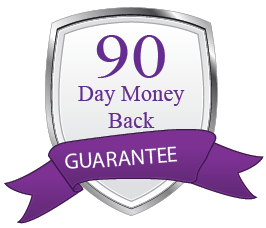 You will immediately notice the AAAA high quality in its shape, body, luster and overall grade. The black freshwater pearl earrings are beautifully accessorized with sparkling stones, carefully encrusted in the fine sterling silver setting. 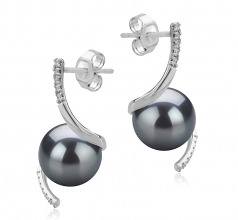 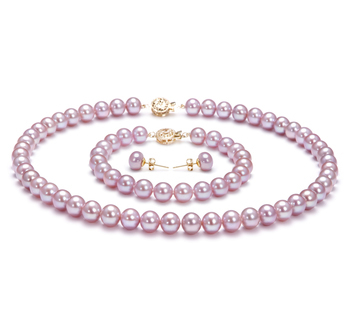 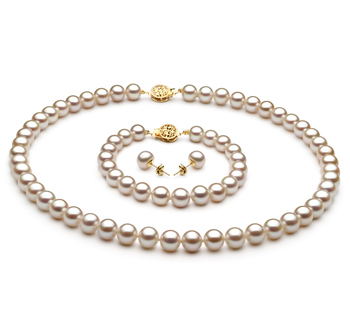 Each pearl earring contains a silver butterfly post for a comfortable and secure fit. 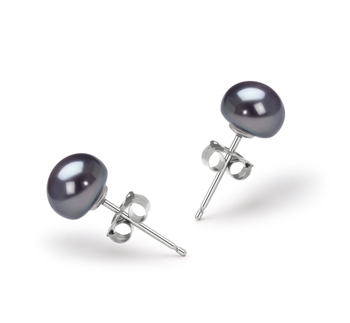 Appropriate for almost any kind of attire, this pair of black pearl earrings can help you achieve a feminine, yet powerful appearance due to its unique modern design. 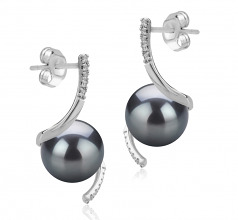 You can pair them with a black pearl bracelet and a dark business suit. 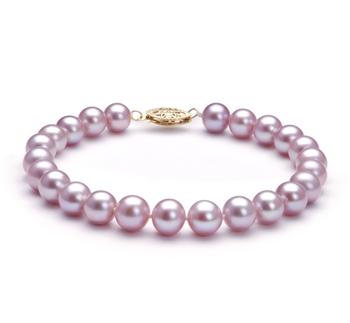 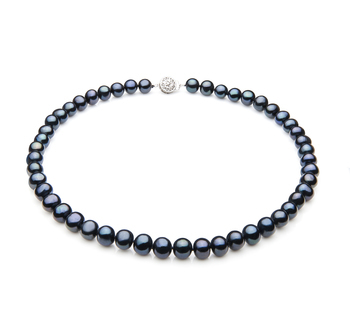 Do not worry, the black pearls will be noticeable enough if you wear your hair up!